So ten things about me - here we go! 1. I have to start with the loves of my life. 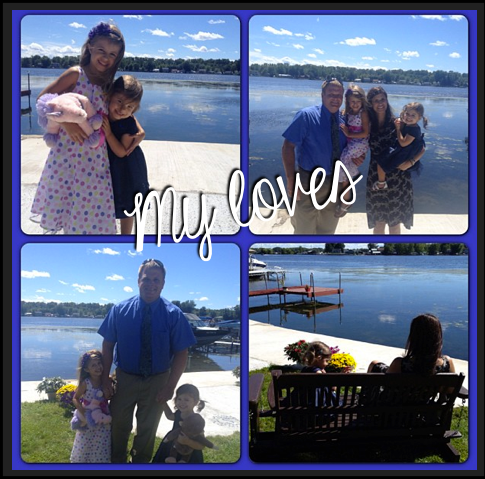 Nothing makes me happier than spending time with them. Not that we didn't go out and do fun things, but the amount of time that we spend in our PJ's all day was a little ridiculous. 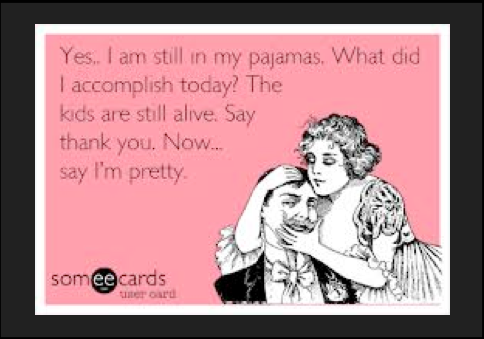 In fact, I'm still in my PJ's right now as I type this post - and it's noon. 3. 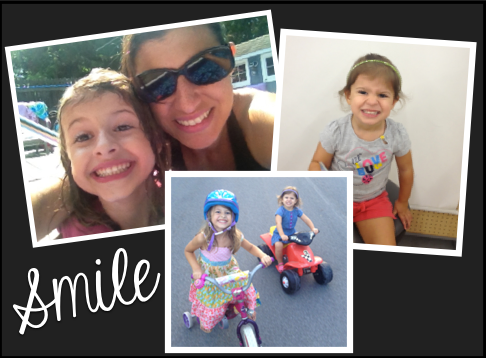 Staying at home with my girlies all day everyday is amazing - I would never say otherwise. 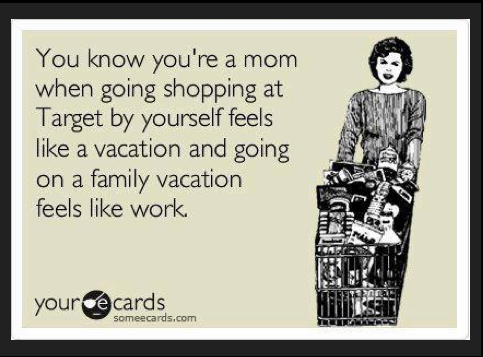 However, there were definitely days when hubby got home and I was at the door ready for some shopping therapy. I LOVE you Target!!! 5. Speaking of friends....where would I be without my friends? This quote is perfect because my best friends are the ones where, when life happens and we don't get a chance to talk for a while, there are no hard feelings. We just pick up right where we left off and it's like we were never apart. 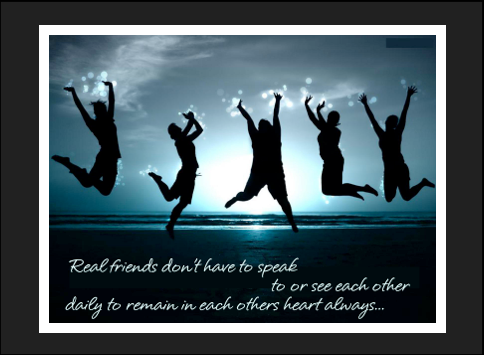 I have friends near and far and again, I am SO blessed! 6. I love being outdoors (minus the bugs). Love to go for walks, hikes, swimming, and so much more! 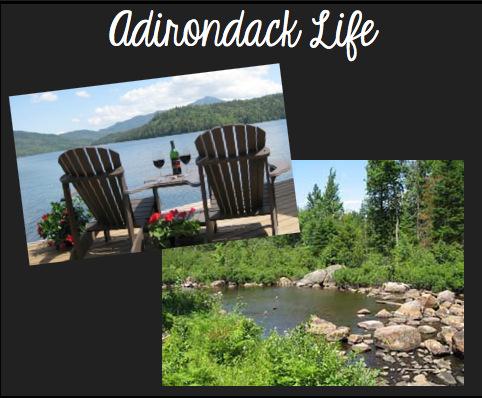 Our family has a camp in the Adirondacks and it is one of the best places in the world to be. Sometimes I let life take over and I don't take as many opportunities to enjoy these pastimes, so I need to make it a point to do them more often. They make me happy and you should always do what makes you happy! 7. My husband is a TRUE outdoorsman! He is the hunter and fisherman and if he could make a living doing that, he totally would. 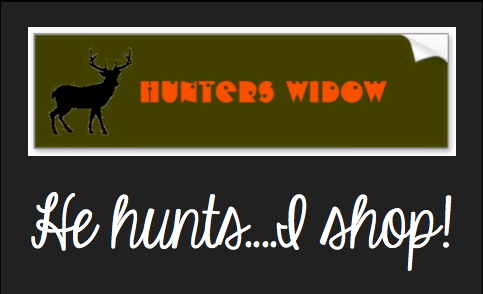 So I have come to accept that from October 1st to the middle of December - I am a Hunter's Widow. We can't plan to do much on weekends because of hunting. I try to schedule things and he reminds me that it's opening day. Did you know that there are like 5 opening days during hunting season? It seems like every week is a new opening day - bow hunting, muzzleloader, rifle, and I don't even know what else. I've started tuning out and just say ok. I just figure if he wants to hunt, then I get to shop! It's a trade off! 8. When I was 20 I went to Italy for the first time. I went with my sister and cousin and we went there to meet our "long lost family". They weren't really "long lost" but we had never met them. My great grandfather and great grandmother had come over from Italy in the early 1900's. 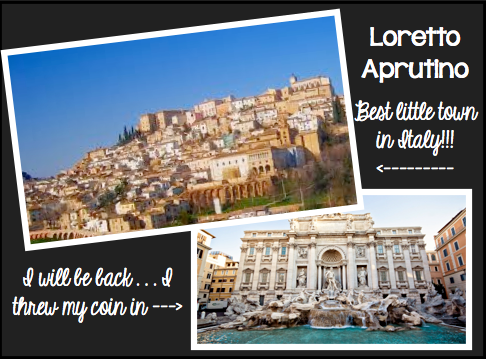 My grandmother had gone to Italy in 1950 and met her aunts, uncles, and cousins there, but had lost touch with all of them when her father passed away. And none of them have ever been to America. So when we went we got to meet her cousins and their families. It was truly the best experience of my life! Though they couldn't speak any English and we only spoke a little Italian, I felt like I had known them all my life and really felt that connection you feel to your family. It was amazing! A couple years later, I went back to Italy with my friend and we went to visit them for only 2 days on our trip, but I knew I couldn't be in that country without seeing them. My dream is to someday go back with my husband and kids and give them the experience I have had. I know I've already been twice and most people can't even say that, but I just feel like I need to see them and introduce them to my family. This is a picture of the town they all live in (breathtaking) and the Trevi Fountain in Rome. It is said that if you throw a coin into the Trevi Fountain then you will return to Italy. It worked once - here's hoping it works again!!! 9. I'm sure it's because I'm Italian, but I could live on pasta and meatballs for every single meal. I love to cook and try desperately to cook as well as my grandma, aunt, and mom. I still haven't gotten it yet - but it doesn't keep me from trying over and over and over again. I also could probably drink wine at every meal (I wouldn't of course, but it is yummy). 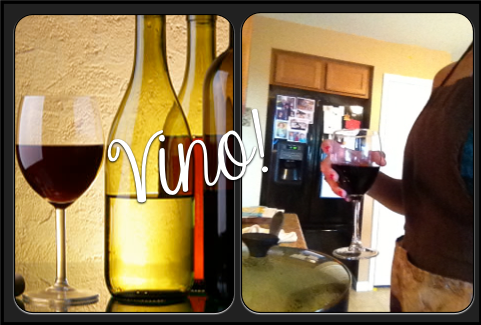 I also think that when I drink wine while I am cooking it is a much better outcome. My family in Italy made their own wine - I wish I had endless amounts of bottles. Maybe I'll have to start making my own too. My husband got me hooked on Duck Dynasty. I really think they have great family values and it is all around a decent show. I get sucked into the Bachelor and Bachelorette show EVERY SINGLE TIME! I don't even try to fight it anymore. It just is what it is! And then there's Vampire Diaries. Love it! I was a sucker (haha pun intended) for the Twilight series (books and movies) and when this show came out I was immediately hooked as well. It's really not about the vampires, it's about the love stories. 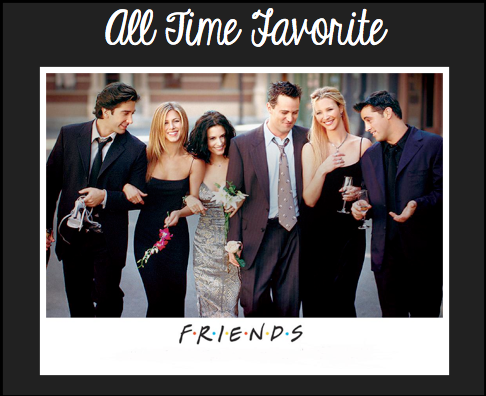 And of course, if I'm talking about TV I have to mention my all time favorite show, which I continue to DVR and watch whenever possible, is Friends! I love it! I still laugh even though I know what is about to be said. It was a tradition in college to get together and watch this and it just makes me happy every time it's on! So now you know a little more about me! 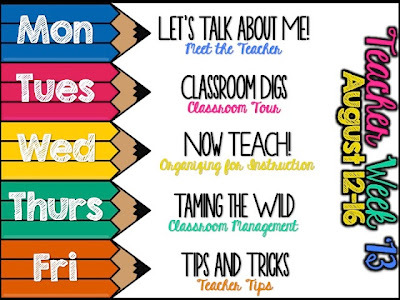 Hop over to Blog Hoppin' to read up on everyone else. OMG- girl your camp picture is gorgeous! Vampire Diaries is one of m faves and I've probably seen every Friends episode 50 times! I could live off of pasta and wine too....now if only they burned fat! What a pretty place to go! If Texas had better weather, I'm sure I would be a much better outdoorsy person! I do love doing things outdoors, but I don't do it as much as I would like to. Part of my problem is also the whole sitting around in my pajamas thing :) My brother lives in Texas and I've only been twice, but man it was HOT!!! I don't blame you. Hi! 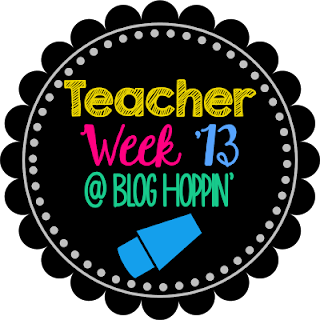 I found your blog through Blog Hoppin’ Teacher Week! 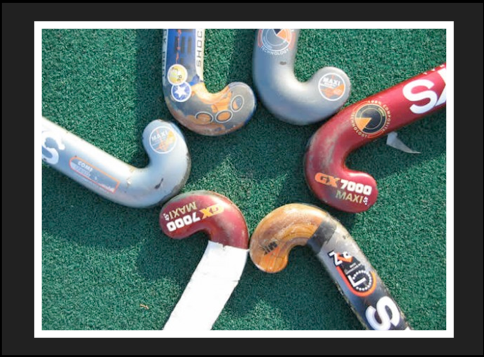 The summer went too fast and I cannot believe it is that time of year again! 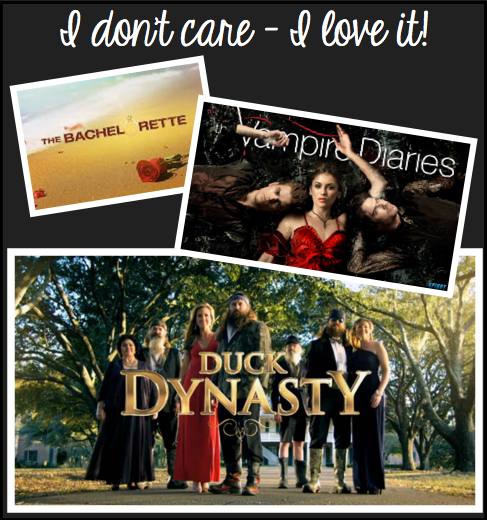 I also love The Bachelorette...I am actually thinking right now that I am upset it isn't on tonight! I also LOVE someecards! I have a Pinterest board dedicated to them! 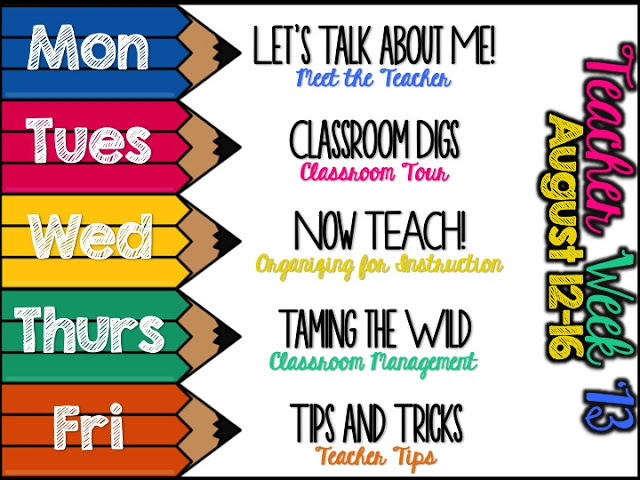 Check out my Monday: Let’s Talk About the Teacher blog post! My husband is a hunter as well. When we found out that our due date for our first daughter was in December, he said to the tech, "That's in the middle of deer season."